Designed with a traditional style and strong build, this vanity is a perfect choice for any bathroom. Its white marble counter and brown solid wood base are very easy on the eyes. This classic set from Wyndham Collection will make your bathroom look brand new. Berkeley 60-inch W 4-Drawer 2-Door Vanity in Brown With Marble Top in White, 2 Basins With Mirror For a bit of traditional style in your bathroom, choose this beautiful vanity. The white marble counter and brown solid wood base make a beautiful look in your bathroom. Room is no problem with this vanity because it comes with a double-door cabinet and drawers. 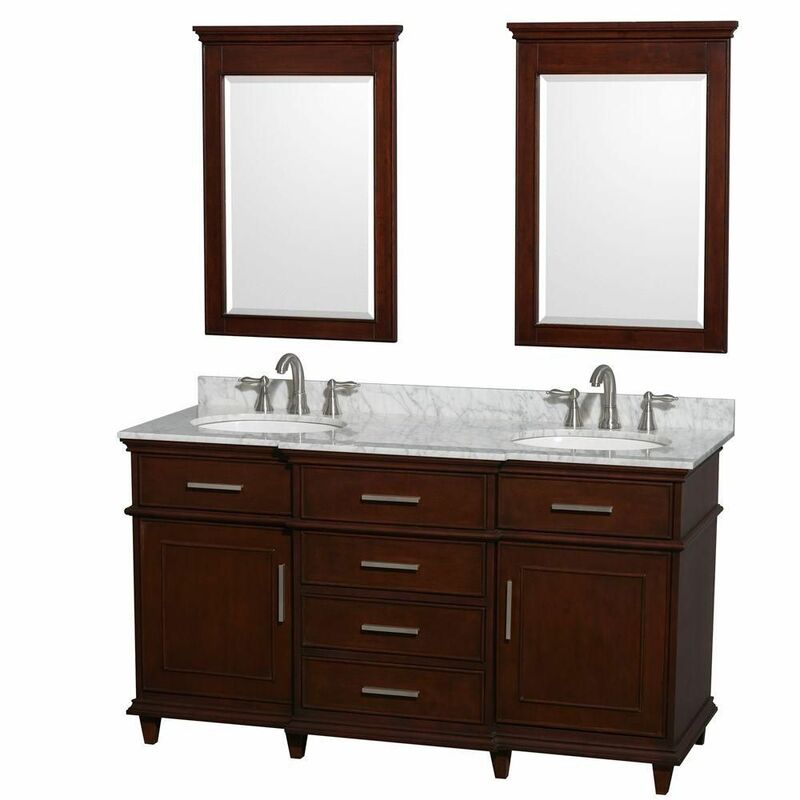 Put together your perfect bathroom with this stylish vanity set from Wyndham Collection. Berkeley 60-inch W 4-Drawer 2-Door Vanity in Brown With Marble Top in White, 2 Basins With Mirror is rated 5.0 out of 5 by 1. Rated 5 out of 5 by mshamlin from Very pleased with this vanity I purchased three vanities from home depot (redoing three bathrooms) and this Vanity is by far the best of the lot. It is solid and of high quality. I love the soft closure feature of the drawers and doors.